MOTIVATED SELLERS!!! Least expensive POOL home in Estero Place - in the HEART of it all!! Expanding family needs more space!! NEWER construction - NATURAL GAS community!!! ONE Level - 3 bedrooms + Den - 2-1/2 bathrooms. Bells & whistles - YES!!!! So hip, on trend and so neutral - you will love every corner of this move in ready gem! 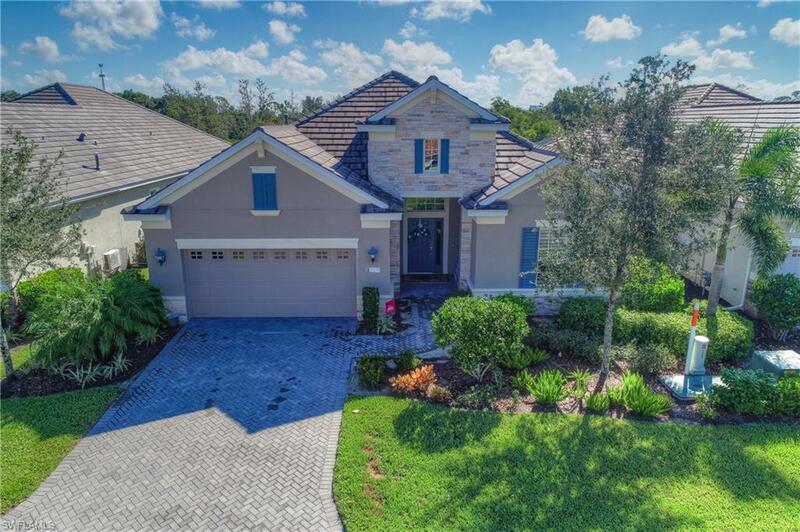 Loaded with upgrades - beautiful wood-plank tile floors in den, plantation shutters, tray ceilings, recessed lighting, french doors to Den/Office, wood planked accent walls, crown molding and more! You'll love the stainless steel appliances, upgraded cabinetry, gorgeous kitchen island with quartz countertops, breakfast bar w/pendant lighting, and NATURAL GAS RANGE!!!! Master Bath has HUGE walk in shower and double vanity. Ultimate backyard privacy while you enjoy your freestyle pool and large brick paved patio covered w/screen enclosure. Pool bath is so handy also! Let Fido run and play in the grass yard. ESTERO PLACE is built by NEAL COMMUNITIES and nestled in the heart of Estero with low monthly HOA's & NO CDD. Located on the Three Oaks corridor, only minutes to Coconut Point, Miromar Outlets, I-75, FGCU, and Gulf Coast Town Center. I was searching for a Property and found this listing (MLS #218063267). Please send me more information regarding 21271 Estero Vista Ct, ESTERO, FL, 33928. Thank you! I'd like to request a showing of 21271 Estero Vista Ct, ESTERO, FL, 33928 (MLS #218063267). Thank you!